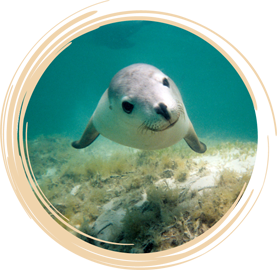 The Shoalwater Islands Marine Park aims to protect the diversity of marine life found on the submerged reefs within the park, as well as the extensive seagrass beds that provide important nursery areas for juvenile fish. The Marine Park also provides important habitat for bottlenose dolphins, and the limestone islands are used as a resting area for Australian sea lions and by breeding colonies of sea birds, including the little penguin. The Marine Park includes Shoalwater Bay, Warnbro Sound and the waters off Cape Peron. C’mon and Embrace the Smell!